Episode 205: What’s the difference between first and second generation solar cells? Have you heard that the cost of solar energy is decreasing and wondered why? On this week’s Energy Bite, Lisa Porter, a professor at Carnegie Mellon University, has some answers. HOST: Have you heard that the cost of solar energy is decreasing and wondered why? On this week’s Energy Bite, Lisa Porter, a professor at Carnegie Mellon University has some answers. LISA: Humans have been using solar energy from the beginning of time, and serious research began in the late 1800’s and included the work of famous physicists like Einstein. In the 1950’s, a key breakthrough occurred at Bell Labs when the first practical solar cells based on semiconductors were developed. In the past decade, we’ve seen a dramatic decrease in the cost of solar cells, making this technology more affordable. HOST: How did this occur? LISA: Mostly through things other than the solar cells themselves: things like installation or inverters that convert the DC electricity generated by the cells into AC electricity. The cost of solar cells may go down too. Most solar panels on homes are called first generation solar cells. They use sheets of the semiconductor silicon to convert solar rays into electricity. Newer thin-film second generation solar cells use semiconductor materials that are around one micron thick. In contrast, human hair is about 50 microns thick. These cells use less material because they contain semiconductor materials that absorb sunlight more efficiently; less material translates to lower cost. HOST: Would you consider putting solar panels on your home if the cost were low? Take our poll, see the results, and ask your energy questions at Energy Bite dot org. Episode 204: How can semiconductors bring electric vehicles to the next stage? Did you know that semiconductors can be used to enhance electric cars? On this week’s Energy Bite, Lisa Porter, a professor at Carnegie Mellon University, has some information. HOST: Did you know that semiconductors can be used to enhance electric cars? 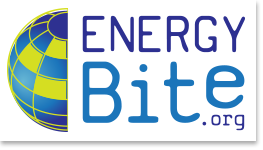 On this week’s Energy Bite, Lisa Porter, a professor at Carnegie Mellon University has some information. LISA: If you think about semiconductors, you probably think about them for computers—not cars. But, they play important roles there too. Semiconductors are used to distribute power to the Bluetooth-enabled devices on your “connected” car. Electric vehicles have a similar critical need for advanced power electronic systems that are more efficient and lower in cost while maintaining the range and other performance characteristics of conventional vehicles. Semiconductors can help reach those goals, and increase the likelihood that consumers will purchase an electric vehicle. HOST: So, how can semiconductors improve the performance characteristics of electric vehicles? LISA: Electric vehicles consist of three basic units: a power system, such as a battery, a control system and a propulsion system. The battery converts chemical energy to electrical energy. This electrical power must be regulated and distributed to different parts of the vehicle. And, a large portion of that electrical power must be converted to physical power through the propulsion system. Advanced semiconductors have the potential to more efficiently handle and distribute the high powers to the propulsion system and to other parts of the car. HOST: If you don’t own an electric car now, would you be more likely to do so if it could travel as far as a traditional car before taking on more energy? Take our poll, see the results, and ask your energy questions at Energy Bite dot org. Episode 203: What are semiconductors? Have you ever wondered what semiconductors are? On this week’s Energy Bite, Lisa Porter, a professor at Carnegie Mellon University, has some answers. HOST: Have you ever wondered what semiconductors are? On this week’s Energy Bite, Lisa Porter, a professor at Carnegie Mellon University has some answers. LISA: Semiconductors are in everything from your cell phones to medical equipment. In a semiconductor, electricity moves more easily than in an insulator material, such as diamond, but less easily than in a conductor, such as copper. Semiconductors, like silicon, work because introducing a tiny amount of a third material, like boron or phosphorus, provides the ability to control how much electricity is conducted. This ability to control the flow of electricity is exploited in semiconductor devices, like transistors. HOST: What semiconductors enable energy-efficient technologies? LISA: When you think of semiconductors, you may think of computers, where semiconductor silicon has been used for years. Semiconductors may be able to do the same for energy. There are many other semiconductors that enable new energy-efficient technologies. For instance, the semi-conductor indium-gallium-nitride is used to make LEDs for high-efficiency, solid-state lighting applications, like lighting a street. And, organic-inorganic perovskite semiconductors are gaining intense interest for future solar cells with increased performance-to-cost ratios. HOST: Did you know that semiconductors are used for more than just computers? Take our poll, see the results, and ask your energy questions at Energy Bite dot org. HOST: Are researchers using smart grid data? On this week’s Energy Bite, Richard Huntsinger, a recent PhD graduate of Carnegie Mellon University, has some answers. HUNTSINGER: Researchers are using it a lot. At Carnegie Mellon University, for example, we developed a software system to analyze about 800,000 electricity demand forecasts made using a wide variety of forecasting processes, based on data from smart grids in Dublin, Ireland and Sydney, Australia. This is the first study to systematically look at so many forecasting processes using detailed data on real consumer electricity usage. When viewed in this broad context, the smart grid data reveals some interesting things that we otherwise wouldn’t be sure about. HOST: What have you learned from smart grid data? HUNTSINGER: In our study, we see that forecasters using techniques that do a good job of predicting electricity demand in one location do not necessarily do well anywhere else. However, there are some techniques that do pretty well across many locations, though they aren’t the best for any one location. We also see that you can get good forecasts with data from just a small sample of households, say 10-20% of the full population of a city – but, forecasting based on grouping households with similar electricity usage behavior surprisingly does not help much. With more research on data from more smart grids, we’ll see how well these results hold up. HOST: Do you ever think about how your electricity usage data is used to predict electricity demand? Take our poll, see the results, and ask your energy questions at Energy Bite dot org. Have you ever wondered what a smart grid is? On this week’s Energy Bite, Richard Huntsinger, a recent PhD graduate of Carnegie Mellon University, has some answers. HOST: What is a smart grid? On this week’s Energy Bite, Richard Huntsinger, a recent PhD graduate of Carnegie Mellon University, has some answers. HUNTSINGER: A smart grid is an electricity distribution network that includes smart meters. The meters collect data about electricity usage for a household or building. They are like traditional meters, except that they measure usage not every month, but rather every hour or half-hour, and they send this information directly back to the utility. Usually, smart grid also means so-called smart appliances in homes and buildings, which use data to run more efficiently, and perhaps alternative electricity resources like solar and wind generation. HOST: What is the benefit of a smart grid over the traditional electricity distribution network? HUNTSINGER: Right now, utilities are using smart grids to more efficiently measure and bill you for electricity usage. Some are also analyzing smart grid data to better understand their customers’ electricity usage behavior and how pricing incentives could benefit them. At Carnegie Mellon University, we are starting to analyze smart grid data to learn how electricity from solar- and wind-generated sources is affecting overall electricity usage, and how forecasters can better predict electricity demand. HOST: Have you ever wondered how your smart meter is helping measure your bill effectively? Take our poll, see the results, and ask your energy questions at Energy Bite dot org. Energy Forecasting: Past, Present and Future by Hong T.
Wind Integration in New England by Black JD. Probabilistic electric load forecasting: A tutorial review by Hong T. & Fan S.
HOST: Forecasting electricity demand is difficult. But, why is it so hard? On this week’s Energy Bite, Richard Huntsinger, a recent PhD graduate of Carnegie Mellon University, has some answers. HUNTSINGER: Utilities plan for electricity in advance of when it’s going to be used, based on forecasts of electricity demand, and then they add reserves just to be safe. The less sure they are of the predictions, the larger the reserves. Those reserves are expensive if it turns out you don’t need them. So, it’s important that (1) electric providers’ forecasts are accurate, but also (2) utilities understand how confident they can be in their forecasts. It’s actually pretty tricky to get both of these things right. HOST: What else makes predicting electricity demand so difficult? HUNTSINGER: When consumers generate electricity with solar panels on their roofs or wind turbines in their backyards, this makes it more difficult for utilities to forecast electricity demand. They’ve worked out the computer models that they use to forecast electricity demand to take into account electricity that they’ve planned to produce, as well as how consumers will likely use it. However, now, forecasters need to enhance the computer models to account for unplanned electricity from these alternative energy sources that they know much less about than traditional sources. Effectively, they have to forecast several things at once that all interact with each other. It’s quite challenging. HOST: Do you generate electricity with solar panels or a wind turbine? Take our poll, see the results, and ask your energy questions at Energy Bite dot org. A methodology for Electric Power Load Forecasting by Almeshaiei, E. & Soltan, H.
Electric load forecasting: literature survey and classification of methods by Alfares HK, et. al. Energy Forecasting: Past, Present, and Future by Hong T.
HOST: How do electricity providers forecast electricity demand? On this week’s Energy Bite, Richard Huntsinger, a recent PhD graduate of Carnegie Mellon University, has some answers. HUNTSINGER: Electric providers use computer models to forecast electricity demand at different horizons – the short-term horizon, say a day to a week ahead, the medium-term horizon—a month to a year ahead, and the long-term horizon—a year to many years ahead. The different models are used for different purposes and forecasters rely on different information to make their predictions. All the models have some elements in common, but generally, utilities must create their own unique models specific their own consumers’ particular electricity usage behavior, because situations differ across locations. HOST: How are these different kinds of forecasts used and what information do forecasters rely on? HUNTSINGER: Electric providers forecast demand for shorter horizons to decide how much electricity to produce or contract for, which must be committed to in advance of when it will actually be used. Forecasters rely on information about historical electricity usage, temperature, when holidays will occur, and other factors that are known to influence electricity demand. Forecasters predict demand for longer horizons to decide how much to invest in new sources of electricity. They rely on information about population growth, the economy, and other factors. HOST: Would you support electric providers investing more in new sources of electricity? Take our poll, see the results, and ask your energy questions at Energy Bite dot org. An Overview of Electricity Demand Forecasting Techniques by Singh AK, et. al. HOST: Have you ever wondered why electric providers predict electricity demand? On this week’s Energy Bite, Richard Huntsinger, a recent PhD graduate of Carnegie Mellon University, has some answers. HUNTSINGER: Electric providers forecast electricity demand to guide them on how much electricity they need to distribute. If they plan for too much electricity, it will be wasted. That’s expensive – and bad for the environment. Unlike with other forms of energy, electricity can’t be used later; it must be used precisely when it’s produced or it’s gone. If companies plan for too little electricity, this means they have to obtain extra electricity from somewhere else on short notice, and that’s expensive, too. If companies predict for way too little electricity, there just won’t be enough even from somewhere else, and that means a blackout, a short- or long-term loss of electric power, can occur. HOST: What are the latest advances in forecasting electricity demand? HUNTSINGER: Forecasters of electricity demand are starting to use “big data” techniques, the ones already being used to make self-driving cars, predict consumer buying trends, and search for cyber threats. Big data techniques, of course, require a lot of data to work well, and fortunately, there is a lot of data starting to come from new smart grid implementations that can be used for this purpose. HOST: Do you think utilities do a good job of forecasting your electricity demand? Take our poll, see the results, and ask your energy questions at Energy Bite dot org. Episode 196: Where was the first nuclear power plant built for domestic peacetime located? Have you ever wondered where the first nuclear power plant built for domestic peacetime was located? On this week’s Energy Bite, Joel Tarr, a professor of Carnegie Mellon University has some answers. HOST: Have you ever wondered where the first nuclear power plant built for domestic peacetime was located? On this week’s Energy Bite, Joel Tarr, a professor at Carnegie Mellon University, has some answers. JOEL: The Shippingport Atomic Power Station was the world’s first full-scale atomic electric power plant devoted exclusively to peacetime uses. It was located, about 25 miles northwest of Pittsburgh and was built in 1957. The station was created and operated under the direction of Admiral Hyman Rickover, who was known as the father of the nuclear navy. It was decommissioned in 1982 because it couldn’t go on forever. HOST: Are there any nuclear power plants near Pittsburgh today? JOEL: Today, FirstEnergy Corporation operates the Beaver Valley Nuclear Power Station in Shippingport about an hour from the city near the Atomic Power Station site. The world’s largest supplier of nuclear technology is Westinghouse Electric Company, headquartered in Cranberry, Pennsylvania in the Pittsburgh Region. HOST: Do you live near a nuclear power plant? Take our poll, see the results, and ask your energy questions at Energy Bite dot org.